The Avg. Group Discount is 10.1%! 15-Nov-2018 Verified Review, stayed from Mon Nov 12 to Thu Nov 15 2018 at a $84.55 average nightly rate. Our PLATINUM Award Winning Hotel property offers the following services and amenities: •Deluxe Suites: Spacious Suite Styled Rooms, Offer both Single King Suites or Double Queen Suites with microwaves and mini refrigerator, coffee makers, work desks, upgraded pillow-top mattresses, full-size sofa sleepers, and flat screen TVs. •Free High Speed Internet: Direct Connect & Wireless on a Rapid T-3 Connection Line. •Free Full Hot Breakfast Includes: Biscuits and Gravy, Eggs, 2 Styles of Waffles, Breakfast Meats: ham, beacon, or sausage, Oatmeal, Cereal, Fresh Fruits, Yogurt, 4 Juices, 24 – Hour Coffee or Tea, and much more.•Free Local and Long distance phone calls•24- Hour Fitness Center•24- Hours Internet Bar with Printers•Free Parking•Outdoor Sparkling Pool•(2) Banquet & Meeting Room: accommodating from 1-75 people with many styles of set up to accommodate your group meeting. (1400 sq. ft. space!) 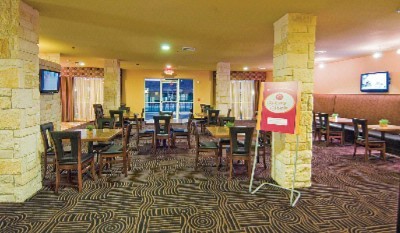 Second Banquet Space: accommodating from 1-115 people with limited styles of set up to accommodate your group.•24 HOUR Shuttle Service: DFW Airport, Love Field Airport, and local area attractions with in 3 miles of the hotel. •Manager's Reception: Monday - Thursday from 5:30pm -6:30pm (Happy Hour & Appetizers)•Local Attraction: The Rangers Ballpark, Dallas Cowboys Stadium, Arlington Museum of Art, Six Flags Theme Parks, and the Arlington Convention Center. In addition, Lincoln Square, a venue featuring many retail & specialty shops, restaurants, bars, and more, is less than a mile away. 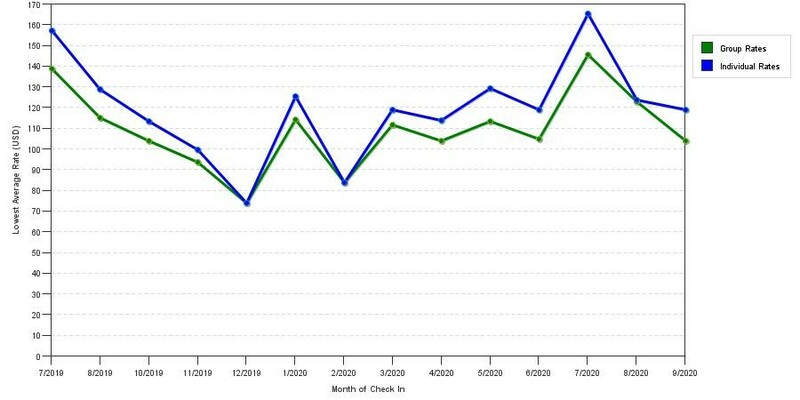 The chart above shows trends of prices for both our group prices and the best individual traveler prices our rate checker could find at the time the group/meeting offer was submitted. The best group discount displayed is 61.7% in the month of January 2017 and the highest average individual rate is $255 in the month of January 2017. This chart will show past seasonality and also project future months. If you are flexible with dates, you may want to consider staying at Comfort Suites Arlington in a month when rates are lower. 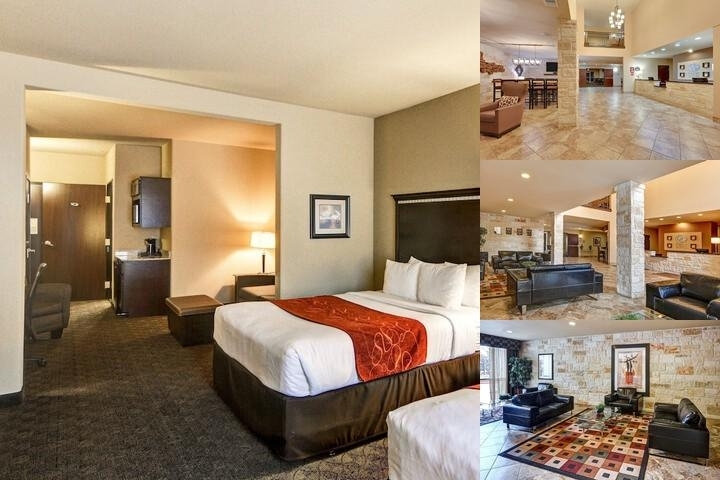 Below are the meeting, banquet, conference and event spaces at Comfort Suites Arlington. Feel free to use the Comfort Suites Arlington meeting space capacities chart below to help in your event planning. Hotel Planner specializes in Arlington event planning for sleeping rooms and meeting space for corporate events, weddings, parties, conventions, negotiated rates and trade shows. The Summit meeting room is the ideal space for any occasion. With 1400 square feet of functional meeting space, we can accomodate from corporate meetings/training to wedding receptions and family reunions. We allow outside food and beverage for your event. We can also assist you in selecting from several local catering companies upon request.Summit Room: 1400 sq.ft Max 75Includes: Projector Equipment, Sound System, Water, WIFI Internet, Air Conditioning, White Board, Cable, and Podium. 40 x 30 x 9 Ft.
33 x 35 x 0 M.
44 x 35 x 10 Ft.